Jakob (also referred to as James or Jacques), the fifth child of Nikolaus Bernoulli, was born in Basel, Switzerland, on January 6, 1654. Thirteen years later the tenth child, Johann, was born on August 6, 1667. Nikolaus forced Jakob to study theology and hoped that his son would give up his ideas of studying mathematics and astronomy. Jakob won this war of wills. In 1687 Jakob became professor of mathematics at the University of Basel. He began to study the mathematics of John Wallis and Isaac Barrow, which had inspired ISAAC NEWTON AND GOTTFRIED LEIBNIZ to invent the calculus. He taught his brother mathematics, even though Johann’s professed field was medicine, for which Johann earned a degree in 1694 from the University of Basel. Johann switched to mathematics, similarly against his father’s will. Although the two worked together on many problems, they also were fierce competitors who posed public challenges to each other. In 1697 the brothers worked on the brachistochrone problem, whose solution described the path that a particle takes to slide down from one point to another point (not directly below) in the least mount of time. Johann’s solution known as the cycloid (a path inscribed by a point on a revolving wheel)—was disputed by Jakob and the dispute led the brothers to develop the calculus of variations, an extension of regular (infinitesimal) calculus that focused on the largest or smallest values of functions that come from curves or other functions, not real numbers. Jakob’s book The Art of Conjecturing was published in 1713, right years after his death. In it he explained his work on probability; of which he was one of the earliest students. The book contained several innovations including an extension of the binomial theorem, the principle known as Bernoulli’s theorem. Johann’s work was published in 1742 under the title The Work of Johann Bernoulli. Jakob died on August 16, 1705, in Basel. Upon Jakob’s death, Johann succeeded him in his position at the University of Basel. 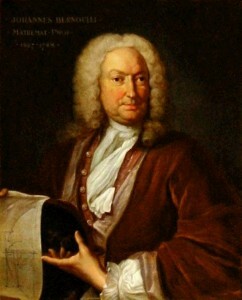 Johann died on January 1, 1748 in Basel. It is difficult to separate the achievements of the two Bernoulli brothers. Their legacy rests on their contributions to the early study of the calculus, in particular their origination of the basic principles of the calculus of variations. In their investigations into the brachistochrone problem, the brothers’ formulation of the calculus of variations began. In tackling the problem, Jakob proposed a variational principle: maximize or minimize some quantity subject to some constraint. Such variational principles became the basis of the calculus of variations, and subsequently became helpful in expressing other scientific principles including William Rowan Hamilton’s theory of least action, in which the “action integral” must be minimized. The theory of least action is linked to Newton’s laws of motion, and other applications of variational principles can be found in the study of elasticity, electromagnetics, and aerodynamics. Jakob and Johann built on the work of Leibniz, using his notation. The brothers corresponded with Leibniz, and Johann was vocal in his support of Leibniz in the dispute between the Continental mathematicians who believed that Leibniz invented the calculus first and the British mathematicians who attributed that achievement to Newton. Leibniz’s notation—easier both to understand and to manipulate in calculations—offered greater utility to mathematicians and scientists; eventually it became the primary system of expressing and using the calculus. The students and offspring of Jakob and Johann carried on their legacy. 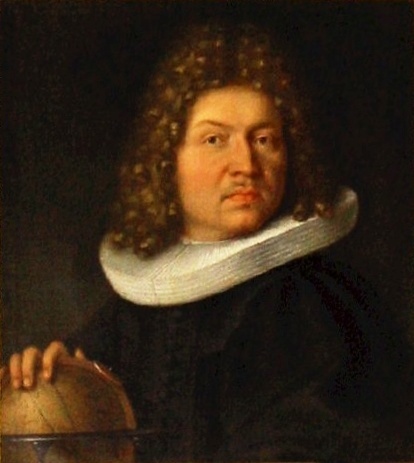 Daniel Bernoulli, Johann’s son, supported LEONHARD EULER throughout his career, Daniel himself was a productive mathematician, focusing on applications in astronomy, physics, and hydrodynamics, a term that he originated. Euler, who studied with Johann and whose father studied with Jakob, was one of the more productive and prolific mathematicians of the eighteenth century. His work included innovations in number theory and algebra, and his textbook on the calculus was used for generations. Posted on March 5, 2015 by Natalie. This entry was posted in Mathematicians. Bookmark the permalink.